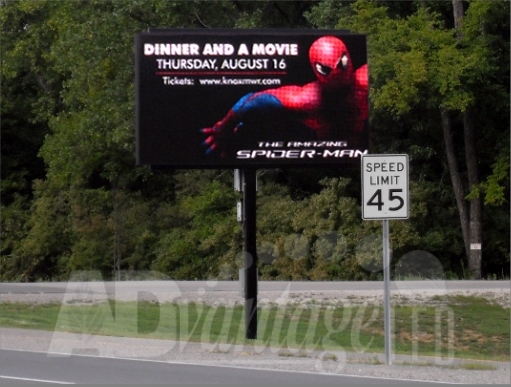 ADvantage LED Signs Completes Fort Knox LED Billboard Project. Arguably the most recognized military installation in the United States, Fort Knox recently outfitted their base with multiple billboards to help keep in touch with residents and visitors. ADvantage LED Signs, a US manufacturer of LED signs, announced today the completion of a multiple LED billboard project at Fort Knox, KY to be used to inform and alert local residents and visitors. Valued at over $250,000, this was a complete turn-key build and installation project. 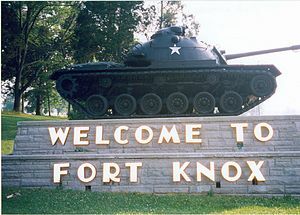 Fort Knox is arguably the most recognized military installation in the United States situated on 109,054 acre base that spans parts of three counties. First established during the Civil War and later used as the main training facility for the M1 Abrams Battle Tank, this Army Post currently holds the Army Human Resource Center, the Army Cadet Command and the United States Accessions Command. Fort Knox is most widely known as home to the US Dept of Treasury Official Bullion Depository. Government billboards are certainly not a new project for ADvantage LED Signs. According to Richard James, spokesperson for ADvantage LED Signs, "The government sector needs to be able to keep its residents always informed and up-to date on important information. What better way to achieve this than with a simple to use, electronic messaging center in front of your government building, park or community gateway." James explains, "The Fort Knox project requirements were very stringent, as they often are on Government LED Signs, but we were able to integrate with a third party "Scala" software to control ads and messages, delivering the exact product the base needed." Community and government signs are big business for the Houston Company. James explains. "An LED Sign can enable government and community officials to deliver a new level of communication to their customers, the citizens. With real-time messaging, you reduce communication time and advertising costs while still getting your message across. Public buildings often have many announcements to make and few venues with which to make them. Government LED signs solve this problem by providing a free, eye catching and reliable means of disseminating information to the public." 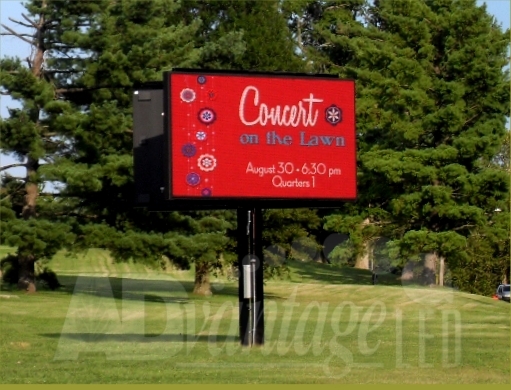 As they did on the Fort Knox billboard project, ADvantage LED Signs can provide an on-site technician during the light up of the LED billboards and complete on-site service support for 5 years if desired. Customer Support and follow up is key, says James. He continues, "We provide LED sign support and nationwide coverage consisting of a world-class staff of technicians because we know how important proper operation of your LED sign is to your business or government operation. Furthermore, we offer free tech support for the life of your LED Sign."